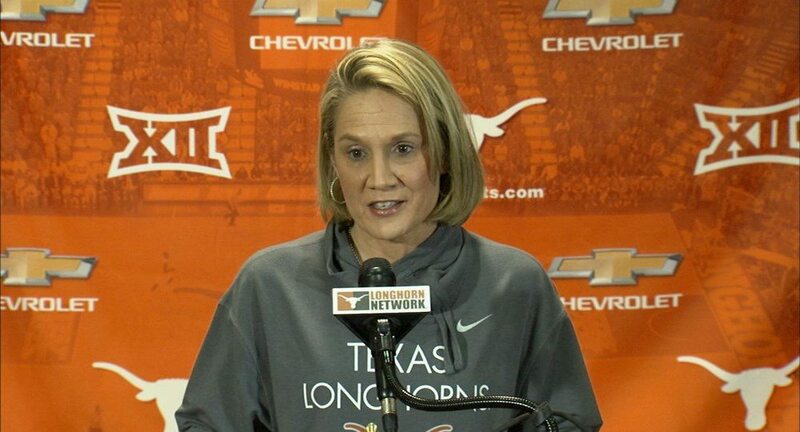 Texas women's basketball coach Karen Aston added to the Longhorns' class of newcomers Tuesday with the addition of forward/post Jatarie White, who is transferring to UT after playing two seasons for South Carolina (photo courtesy of texassports.com). AUSTIN, Texas — One of the oldest axioms in basketball says that when there’s a choice, bigger is better. This truth is universal, whether in the low post or on the perimeter — when all other characteristics are equal, the bigger player will be able to create mismatches that are difficult for an opponent to overcome. Texas head coach Karen Aston knew her team would lose considerable size after the 2015-16 season. The Chicago Sky selected 6-foot-7 Imani Boyette in the first round of the WNBA draft, and 6-4 Sara Hattis graduated and left for Arizona State as a graduate transfer. She’ll have to wait a year to see the results, but Aston bolstered her team’s frontcourt Tuesday with the transfer of forward/post Jatarie White from the University of South Carolina. Per NCAA transfer rules, White will have to sit out the 2016-17 season and will be eligible to play for UT next year; she will have two seasons of eligibility in Austin. A former McDonald’s All-America and two-time North Carolina Miss Basketball honoree, White starred at Providence Day School in Charlotte, where she averaged 21.4 points (on 68 percent shooting) and 8.7 rebounds per game as a senior, when espnW Hoop Gurlz named her the nation’s top post prospect and the No. 7 overall recruit in the nation. At USC, she averaged 2.7 points and 2.6 rebounds per game in 52 career games for the Gamecocks, averaging 11.3 minutes per game. While she was there, South Carolina won two Southeastern Conference championships and advanced to the NCAA Tournament’s Final Four in 2014-15. The addition of White will give the Longhorns seven players who earned McDonald’s All-America status in high school. The other six are 2014 honorees Ariel Atkins and Brooke McCarty, 2015 participants Lashann Higgs and Jordan Hosey, and incoming freshmen Joyner Holmes and Alecia Sutton.